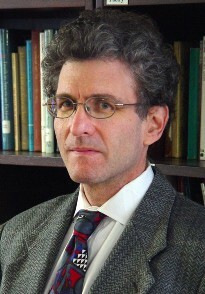 Dr. Altman is a Distinguished University Professor in the Department of Philosophy who specializes in legal and political philosophy, with a focus on contemporary topics such as human rights, discrimination, genocide, and freedom of expression. Dr. Barzegar is an Assistant Professor in the Department of Religious Studies. 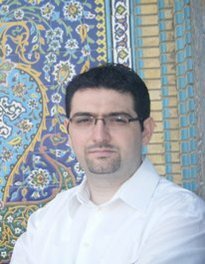 His research interests include Islamic sectarian polemics, Islamic historiography and hadith criticism, contemporary Islamic political movements, Shi’ism, and Islam in America. The award is funded under NEH’s Enduring Questions program, which supports faculty members seeking to develop courses that will encourage undergraduates to grapple with a fundamental question of human life by reading the works of influential thinkers from the past and present. Finkelstein, Claire Oakes., Jens David Ohlin, and Andrew Altman. Targeted Killings: Law and Morality in an Asymmetrical World. Oxford: Oxford University Press, 2012. Altman, Andrew, and Christopher Heath Wellman. “The Deontological Defense Of Democracy: An Argument From Group Rights.” Pacific Philosophical Quarterly 89.3 (2008): 279-293. Altman, Andrew, and Christopher Heath Wellman. “From Humanitarian Intervention To Assassination: Human Rights And Political Violence.” Ethics: An International Journal Of Social, Political, And Legal Philosophy 118.2 (2008): 228-257. Altman, Andrew. “Democratic Self-Determination And The Disenfranchisement Of Felons.” Journal Of Applied Philosophy 22.3 (2005): 263-273. Martin, Richard C., and Abbas Barzegar. Islamism: Contested Perspectives On Political Islam. Stanford: Stanford University Press, 2010. Barzegar, Abbas. “The Persistence Of Heresy: Paul Of Tarsus, Ibn Saba, And Historical Narrative In Sunni Identity Formation>1.” Numen: International Review For The History Of Religions 58.2/3 (2011): 207-231. Barzegar, Abbas. “Discourse, Identity, And Community: Problems And Prospects In The Study Of Islam In America.” Muslim World 101.3 (2011): 511-538. Barzegar, Abbas, and Richard Martin: “Networks of Authority: Orthodoxy and Change in Islamic Societies.” Rethinking Islamic Studies: From Post-Orientalist to Cosmopolitanism Perspectives. Eds. Richard Martin and Carl Ernst. Columbia: University of South Carolina Press, 2010. This entry was posted in Faculty Publications and Research, GSU Centennial, Philosophy, Religious Studies. Bookmark the permalink.